PARIS — A SpaceX Falcon 9 rocket on May 27 successfully placed the Thaicom-8 commercial telecommunications satellite into geostationary transfer orbit in the fifth of what SpaceX has said would be a year with up to 18 launches. SpaceX and satellite builder Orbital ATK confirmed Thaicom-8’s successful separation in orbit. Orbital ATK said the satellite was sending signals post separation. WASHINGTON — An expandable module on the International Space Station finally deployed to its full size May 28 after a day’s worth of work, overcoming earlier problems with the experimental module. NASA announced that the Bigelow Expandable Activity Module (BEAM) had expanded to its full size shortly after 4 p.m. Eastern, more than seven hours after ground controllers, working with ISS astronaut Jeff Williams, started the deployment process. A short time later, air tanks inside BEAM released air to bring the module’s pressure up to the same level as the rest of the station. BEAM reached its full size after a gradual, and at times tedious, process of manually adding air to the module. NASA took a slow approach, sometimes asking Williams to open an air valve for as little as one second before waiting for an extended period to see how the additional air affected the expansion. When NASA and SpaceX announced April 27 that they had modified an existing unfunded Space Act Agreement that involves the company’s “Red Dragon” Mars lander concept, it was, unsurprisingly, SpaceX that got all the attention. No company has ever flown a private Mars lander, and not even NASA has landed a spacecraft as large as SpaceX’s Dragon. Moreover, Red Dragon is the latest sign that SpaceX and its founder, Elon Musk, are serious about pursuing a long-term goal of Mars settlement. But what’s in it for NASA? The answer might be summed up in two words: supersonic retropropulsion, a landing technology that the agency increasingly sees as critical to its own Mars goals. “We’ve had some ongoing entry, descent and landing architecture studies, and they’ve concluded that supersonic retropropulsion technology is going to be required for any human mission to Mars,” said Jim Reuter, deputy associate administrator for programs in NASA’s Space Technology Mission Directorate, in a May 16 interview. Inmarsat’s broadband In-Flight Connectivity (IFC) service is moving closer to launch. Rockwell Collins announced it has validated the network’s performance as well as a number of its own value-added services and Gogo has added the Ka-band connectivity service to its portfolio for business aircraft operators flying globally. Inmarsat expects Jet ConneX will be available globally in mid-2016, and will support high-speed Internet via Inmarsat’s Ka-band Global Xpress fleet. The Indian Space Research Organization (ISRO) on May 23 flight tested India’s first winged body aerospace vehicle operating in a hypersonic flight regime. The mission flew a Reusable Launch Vehicle-Technology Demonstrator (RLV-TD) to test critical technologies such as autonomous navigation, guidance and control, a reusable thermal protection system and re-entry mission management, all of which were successfully validated according to the agency. WASHINGTON — A National Academies report recommends that NASA and the National Science Foundation make greater use of cubesats for science missions, while also centralizing the management of NASA’s diverse cubesat efforts. The report, prepared by a committee under the auspices of the National Academies’ Space Studies Board and released May 23, argued that cubesats represent a “disruptive innovation” whose capabilities continue to grow while remaining faster to develop and less expensive than more conventional spacecraft. “Fueled by the excitement of access to space, a newfound pioneering spirit, and sometimes even overenthusiastic optimism of first adopters in academia, industry, and the government, the progress of CubeSats toward becoming a science platform has been rapid,” the report states. Iridium has launched a new Position, Navigation and Timing (PNT) capability called Satellite Time and Location (STL) that can substitute or augment traditional location-based technologies. STL technology deployed through the operator’s network of 66 cross-linked satellites in Low Earth Orbit (LEO) and in end-user receivers can verify GPS, Glonass, Galileo, and other navigation services and, if needed, can fill in for them should they become compromised. Iridium says STL can protect, toughen and augment traditional GPS technology by providing a position or timing source when GPS signals are degraded or unavailable. It can also provide an alternative source of time to check the integrity of a GPS signal, and works indoors, according to the company. SpaceX's ninth cargo resupply mission to the International Space Station will take place no earlier than 1:32AM ET on Saturday, July 16th, NASA announced today. A representative for SpaceX has confirmed to The Verge that the company will attempt to land the first stage of its Falcon 9 rocket at Cape Canaveral. This will be the first time that SpaceX has attempted a landing on solid ground since the initial attempt last December, which was also the company's first successful landing. SpaceX will use its Falcon 9 rocket to launch the uncrewed version of its Dragon spacecraft to the ISS. The Dragon will be carrying crew supplies and hardware, including an "international docking adapter." This will be attached outside the ISS to help prepare for commercial flights from SpaceX and Boeing. Those flights will start in 2017. Gmail is now supported on Iridium GO®! Iridium is happy to announce Gmail support on Iridium GO! via OneMail - a new app by OCENS - designed to increase the usability of Iridium GO!, which provides global voice and text messaging service for up to five smartphone users anywhere on the planet, and targeted additional data capabilities for any Android or Apple iOS device. The new offering will enhance the functionality of Iridium GO! for both leisure and business customers. OneMail app provides convenient and cost-effective access to personal email for anyone out of cellular range. The app will quickly compress the emails from users’ Gmail accounts and download them onto their smartphone or tablet. OneMail is compatible with Android and Apple iOS devices and additionally allows customers to send pictures without compromising their quality. OneMail is now available in the iOS App Store(SM) and Google Play(TM) marketplace. Iridium GO! customers will also be able to use it for two months free of charge when they enter code IRONEPROMO upon registration here. Arianespace has signed a contract with OneWeb to design, qualify and supply 21 payload dispensers for the deployment of the company’s small satellite constellation, along with five more on option. Ruag Space in Sweden will be the prime contractor in charge of development and production of the dispenser systems, which will first secure the satellites during their flight to Low Earth Orbit (LEO) and then release them into space. The dispensers are designed to accommodate up to 32 spacecraft per launch, allowing Arianespace to deliver the larger part of the OneWeb constellation over a period of 18 months, starting in 2018. One of the most comprehensive surveys of airline customers worldwide reveals that passengers now not only expect broadband services to be offered as standard during flights, but more than half would prefer in-flight connectivity to in-flight meals. COMSAT, Inc., a leading operator of customized and secure end-to-end satellite communication services to the U.S. government and Inmarsat (LSE:ISAT.L), the leading provider of global mobile satellite communication services, have been supporting U.S. and Republic of the Philippines forces in the Balikatan 2016 (BK16) exercise, which took place in the Philippines, April 4 to 16. COMSAT, a value-added reseller of Inmarsat’s Global Xpress services, worked with U.S. Marine Corps Forces Pacific (MARFORPAC), who organized and managed the exercise, to integrate Global Xpress into the scenarios for BK16. 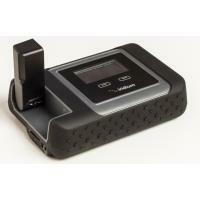 The Global Xpress service was provided via a Cobham 5075 terminal which was deployed with the U.S. Marine Corps. Balikatan is an annual military exercise between U.S. joint forces and the Armed Forces of the Philippines (AFP) with multinational participants such as Australia. The BK16 exercise focused on a variety of missions to include humanitarian assistance, maritime law enforcement, and environmental protection. During this exercise, U.S. forces conducted humanitarian civil assistance projects with the AFP throughout the Philippine archipelago. PARIS– The European Space Agency on May 20 produced a radar satellite image of a 2-kilometer-long oil slick in the eastern Mediterranean Sea that ESA officials say could be from the missing EgyptAir MS804, which disappeared on May 19. As of 21 March 2016, the Wideye iSavi terminal from AddValue Technologies has been made available for use with our BGAN service, on both pre-pay and post-pay plans. This means that the iSavi, the most lightweight and portable terminal, is now available for use over BGAN. The terminal will support full access to data speeds of up to 384kbps for background IP data, making the terminal a perfect solution for remote access to corporate networks, email, and general broadband connectivity. However, the iSavi will not currently support any streaming services. To enable an iSavi terminal for BGAN use, the terminal must be updated to the latest firmware version, R01.1.0, which can be downloaded here. Shares of satellite communications veteran Globalstar soared more than 20% higher on Monday morning, adding to a 35% lift on Friday afternoon. Together, these moves add up to a 57% surge over two days. According to a press release from Globalstar, the FCC is about to approve the company's proposed terrestrial low-power service, or TLPS. Located in the radio spectrum space between the highest Wi-Fi channel and Globalstar's satellite networks, TLPS would add two more channels to existing Wi-Fi networks. Furthermore, Globalstar would then be able to build out its own land-based wireless network, using the TLPS spectrum and conventional wireless towers. The TLPS plan was proposed more than three years ago. Globalstar share prices have increased more than sixfold since that original petition. As defunct and uncontrolled spacecraft continue to present a threat to in-service satellites Airbus Defense & Space, alongside 10 European partners, will lead a $3.1 million project to remove space debris from orbit. The Technology for Self-Removal of Spacecraft (TeSeR) program, led by Airbus and with funding from the European Commission, will carry out a two-year project for the initial research for the development of a prototype of a “cost-efficient but highly-reliable” removal module. The planned module aims to ensure the disposal of future spacecraft at the end of their nominal operational lifetime and could also function as a removal back-up in the event of loss of control of the spacecraft. The Satellite Applications Catapult and Innovate UK have commissioned Scotland-based small satellite manufacturer Clyde Space to build four CubeSats for a $2.2 million project. The CubeSats are part of a new pilot program for offering quick, regular and more affordable access to space, and are to launch from the International Space Station (ISS) for In-Orbit Demonstration (IOD) of technical and business propositions that have a high projected return on investment. Catapult will use the satellites to offer flight-proven CubeSat platforms and regular launch opportunities from the ISS. The International Space Station (ISS) completed its 100,000th orbit on May 16, NASA announced yesterday. The orbiting research platform has travelled more than 4.2 billion kilometers (2.6 billion miles) while circling the planet — a distance almost equivalent to the space between Earth and Neptune (4.7 billion kilometers, or 2.9 billion miles), or 10 round trips from Mars to Earth. The World Teleport Association (WTA) has released a new research report titled “The Internet of Things Opportunity for Teleports” that finds large potential for future revenues coming from the Internet of Things (IoT). According to the report, major factors for teleport operators and satellite companies included things like how standard-architecture and High Throughput Satellite (HTS) systems will play in that network, as well as how they must adapt their facilities, operations and staff to generate IoT-based revenues. PARIS—Satellite broadband hardware and service provider ViaSat Inc. on May 18 laid out what it sees as multibillion-dollar markets in aeronautical and maritime connectivity and sought anew to persuade investors that its satellites deliver substantially more bandwidth for the buck than competitors’ spacecraft. Taking fresh aim at the company’s biggest aeronautical connectivity competitor, Gogo Inc. of Chicago, ViaSat Chief Executive Mark D. Dankberg said Gogo’s new 2Ku modem, which Gogo claims is the state of the art and offers 70 megabits per second to a given aircraft, will be gasping for air in densely populated airspace over airports. To land communications traffic from the recently relocated Skynet 5A satellite, Airbus Defence and Space has opened a new purpose-built ground station in Adelaide, Australia. The Australian facility extends an existing chain of teleports in France, Germany, Norway, the United Kingdom and the United States, providing global coverage in both fixed and mobile satellite services. Skynet supports military satcom operations across the globe, especially in remote areas with little or no communication infrastructure, and in mid-ocean, distanced from land and shipping lanes. Airbus Defence and Space completed the move of the Skynet 5A military communications satellite to 95 degrees east over the Asia Pacific region in September 2015. The Skynet network now offers global military coverage, expanding core service reach for the U.K. military and augmenting coalition capabilities in the region. Norwegian satellite operator Telenor Satellite is launching its Thor 7 Ka-band communications service in maritime markets following a lengthy testing period. Telenor chief executive Morten Tengs confirmed that beta testing of the regional service on more than 20 vessels had shown satisfaction and reliability levels were good enough to launch the service commercially. Thor 7 provides high throughput broadband over the seas around Europe, including the Mediterranean, Norwegian, Baltic, Barents and North Seas. It also offers spot beam coverage on Ka-band over the Black Sea, Caspian and in the Middle East. This is what it looks like when a rocket blazes down out of a pitch-black sky and makes a pinpoint landing on a ship at sea. On Friday (May 6), SpaceX brought the first stage of its Falcon 9 rocket down softly on a robotic ship called "Of Course I Still Love You," which was stationed a few hundred miles off the Florida coast in the Atlantic Ocean. Three cameras aboard the "droneship" were rolling at the time, and you can see what they captured in this video of the epic nighttime rocket landing. The touchdown came during SpaceX's launch of the communications satellite JCSAT-14 from Cape Canaveral Air Force Station in Florida. The Falcon 9 sent JCSAT-14 to geostationary transfer orbit, 22,236 miles (35,786 kilometers) from Earth. Eutelsat and Facebook have selected Hughes to supply its Jupiter system as the technology platform for the satellite broadband services that both companies are preparing to launch in Sub-Saharan Africa. The Jupiter System, which Eutelsat purchased, includes three gateway stations, two centralized data centers, a comprehensive network management system and an initial number of user terminals. Facebook and Eutelsat are assembling a dedicated infrastructure for cost-effective broadband to areas of Sub-Saharan Africa beyond reach of fixed and mobile terrestrial networks. The companies plan to use high-gain Ka-band spot beam capacity on Spacecom’s Amos 6 satellite, which is due to enter service in early 2017. RigNet, Inc. a leading global provider of digital technology solutions focusing on serving energy facilities, maritime vessels and other global remote locations, announces its launch of Global Xpress (GX) services based on Inmarsat’s globally available, Ka-band, high-throughput satellite (HTS) network. In 2013, RigNet was selected as Inmarsat’s preferred partner to launch Global Xpress into the oil and gas industry. Global Xpress is the first Ka-Band satellite network from a single operator to deliver a global footprint that supports increased data rates and global mobility, at affordable price points. Whether onshore or offshore, the network architecture allows the use of small footprint antennas that save deck space at a remote location. The GX design simplifies the remote installation process and decreases the time for deployment, while providing consistency in the hardware for ease of sparing and maintenance. Gilat Satcom has integrated new cybersecurity technology to protect its satellite and fiber customers from Distributed Denial of Service (DDoS) attacks. According to the company, DDoS attacks on African networks are on the rise, with Internet Service Providers (ISPs), cellular companies, banks and IT companies under near-constant attack. If successful, these attacks can make websites and servers unavailable to legitimate users as well as block both local and international links. 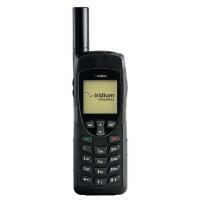 Gilat Satcom is implementing new security measures to protect customers from these attacks. For now, the company’s new security measures are provided as a value-added service with no additional costs for its customers. WASHINGTON — Boeing has delayed the first crewed flight of its CST-100 Starliner commercial crew vehicle until early 2018, later than NASA’s original deadline, because of a series of technical issues and new requirements that the company argues are typical for an aerospace development program. The current development schedule, Boeing spokeswoman Rebecca Regan said May 12, calls for a pad abort test of the spacecraft’s launch abort system in October 2017. That will be followed by an uncrewed orbital test flight of the spacecraft in December 2017. A crewed flight, carrying one NASA astronaut and one Boeing test pilot to the International Space Station, is now scheduled for February 2018. PRAGUE – European Space Agency Director-General Johann-Dietrich Woerner on May 9 expressed frustration with the equipment delays that forced a two-year slip in the launch of Europe’s ExoMars rover vehicle and said he would not write a blank check to keep the mission alive. Addressing a briefing here, where he was attending ESA’s Living Planet Earth observation symposium, Woerner said he still did not fully understand why the project could not make its 2018 launch date. He wondered whether it is possible to have those responsible for the delay finance part of its cost. “I was not only surprised, I was frustrated with this delay, which was for technical reasons on both the European and Russian sides,” Woerner said, adding that at first he did not accept it. WASHINGTON — NASA’s Kepler spacecraft has suffered no long-term effects from an anomaly last month that threatened the mission, and the spacecraft should be able to operate for at least two more years, the mission’s manager said May 10. At a press conference to announce new exoplanet discoveries in data collected by the spacecraft, mission manager Charlie Sobeck said the spacecraft had fully recovered from an “emergency mode” in April that disrupted science observations for more than two weeks. WASHINGTON – A sensor aboard one of the U.S. Air Force’s two primary weather satellites has been providing researchers with unreliable sea ice measurements for more than a month, according to the civilian-run National Snow & Ice Data Center. The Boulder, Colorado-based research center, which is funded by NASA, NOAA and the National Science Foundation, has not updated its index of arctic-wide changes in sea ice since the passive microwave sensor onboard the Air Force’s 10-year-old Defense Meteorological Program-17 (DMSP-17) satellite began returning “spurious” data in early April. 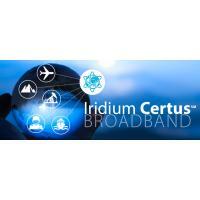 Iridium Communications (Nasdaq: IRDM) will proceed with the planned July launch of the first 10 satellites in its second-generation Iridium NEXT constellation, ExecutiveBiz reported Monday. Space News reported Friday that the initial launch aboard a SpaceXFalcon 9 rocket will be followed by six other 10-satellite launches through late 2017. Iridium CEO Matt Desch has said in a call with investors that the company completed a recent review of its existing constellation in space and found it to be in good health even beyond its original retirement date. Airbus Defence and Space will act as the coordinator of the consortium and will be responsible for project management, technical coordination and the development of innovative attitude control systems. PARIS — SpaceX’s Falcon 9 rocket on May 6 successfully placed Sky Perfect JSat’s JCSat-14 commercial telecommunications satellite into transfer orbit, with the rocket’s first stage landing gracefully on a drone ship in the Atlantic Ocean. JCSat-14 manufacturer SSL of Palo Alto, California, confirmed that the satellite was healthy in geostationary transfer orbit and sending signals. SSL declined to confirm whether the final launch mass had changed from previous estimates of around 4,700 kilograms. It was the second consecutive drone-ship touchdown by the rocket’s first stage and was accomplished despite what SpaceX officials had said were particularly challenging conditions due to the velocity necessary for the launch. The previous successful drone-ship landing, performed in April, was done following a launch of SpaceX’s Dragon capsule into low Earth orbit. Described as a marine game-changer, a paradigm moment in shipping and, quite literally, rocket science, the official launch of Inmarsat's Fleet Xpress (FX) service in London yesterday will change the face of commercial shipping over the next few years. Not just commercial shipping, in fact, but potentially the offshore, fishing, leisure and workboat sectors too. This was the main message from senior Inmarsat executives as they revealed how the new service will work. Inmarsat Maritime President, Ronald Spithout, said that everyone now wants connectivity everywhere, including at sea, both for business efficiency but also for crew welfare. He predicted an eight-fold increase in marine data traffic between now and 2020. Experts have warned repeatedly that ship connectivity will become increasingly important in the crew recruitment and retention process in the years ahead. PARIS—Satellite and rocket builder Orbital ATK on May 5 said its re-engined Antares medium-lift launch vehicle likely would make its first flight in July and would be nicely profitable for Orbital even if it wins no other customers beyond its current NASA space station resupply business. Dulles, Virginia-based Orbital has enough NASA station-resupply work to assure two or three Antares launches per year well into the next decade and the company expects to widen its customer set once the redesigned Antares has proven itself. But even in a worst-case scenario in which Antares is used only for the NASA work, it will be a good business for Orbital. Inmarsat is planning to launch a cyber security service as the first application on its new Fleet Xpress satellite communications solution for shipping. The London-based company has been working with Singapore Telecommunications (Singtel) to develop a specialised application for reducing the risk of cyber attacks on ships. The solution will use Singtel Trustwave’s Unified Threat Management (UTM) technology over Inmarsat’s combined Global Xpress and FleetBroadband service. Trustwave has developed a suite of cyber security defences, such as advanced firewalls, antivirus, intrusion preventors and web filters for other sectors. Save the Children International, a charity organization that sends humanitarian response teams to natural disaster and emergency sites, has used Paradigm’s test facility to train key field personnel in satellite and radio communications. A small group of international team members from the charity spent a week at the company’s facility in Alton, Hampshire in the U.K. last month to learn how to set up and deploy satellite communications equipment. Save the Children International teams leverage satellite communications during their trips to coordinate responses, safety and security. Over the next year, the Non-Governmental Organization (NGO) will be training technicians in the skills they will need to provide communications and connectivity in an emergency response setting. Globalstar reported $21.8 million in total revenue for the first quarter of 2016, up 4 percent from first quarter 2015’s $21 million. The company attributed the increase to higher service revenue resulting from 6 percent growth in its ending subscriber base, offset partially by a decrease in revenue generated from equipment sales. The continued shift to a larger percentage of revenue from service revenue, which has a higher margin, and away from equipment sales revenue, is contributing to increasing Earnings Before Interest, Taxes, Depreciation and Amortization (EBITDA), according to Globastar. The company’s Adjusted EBITDA increased 58 percent to $4.9 million from $3.1 million for the quarters ended March 31, 2016 and 2015, respectively. PARIS — Mobile satellite services provider Iridium Communications on April 28 said the contracting team for its second-generation Iridium Next constellation had put past delays behind it and would be ready for a first launch of 10 satellites in late July aboard a SpaceX Falcon 9 rocket. McLean, Virginia-based Iridium said the launch date could slip by a few weeks, depending on SpaceX’s management of its busy manifest. But satellite prime contractor Thales Alenia Space of France and Italy, and Orbital ATK of Dulles, Virginia, which is handling the satellites’ assembly, integration and test, will have 10 satellites ready for the July rendezvous. Iridium said that by midsummer, the Iridium Next builders should be producing five Iridium Next satellites per month to meet Iridium’s aggressive schedule. Vector Space Systems announced April 26 that it has raised a seed round of more than $1 million from a group of angel investors. The Tucson, Arizona-based company plans to use the funding to continue development of its Vector small launch vehicle. Vector is designed to provide dedicated launches of very small spacecraft. The vehicle is capable of placing satellites weighing up to 45 kilograms into a basic low Earth orbit, and 25 kilograms into a standard sun synchronous orbit. Those launches will cost $2–3 million each, with the higher price reserved for “first class” launches reserved as little as three months in advance. PARIS—A Europeanized Russian Soyuz rocket on April 25 successfully placed a European radar Earth observation satellite, a French fundamental-physics experiment and three European university-built cubesats into low-Earth orbit. The operators of all five satellites confirmed that their spacecraft were in the correct orbit and sending signals of good health. Operating its 14th mission from Europe’s Guiana Space Center spaceport, on the northeast coast of South America, the four-stage Soyuz’s Fregat restartable upper stage conducted four burns to distribute its payloads into three separate orbits over a four-hour period. PARIS—Satellite fleet operator Intelsat on April 28 said tests of its first Epic-class satellite, Intelsat 29e, have confirmed the performance levels the company had been predicting and that the satellite would enter service by late May. Intelsat’s Epic high-throughput satellites (HTS), operating in Ku-band, are designed to appeal to markets including aeronautical and maritime users, cellular-backhaul, machine-to-machine and the emerging Internet of Things. Several satellite operators have ordered HTS satellites in Ku- or Ka-band, but none has as much riding on their near-term success as Intelsat. WASHINGTON — The White House has endorsed a proposal where the U.S. Federal Aviation Administration would provide oversight of “non-traditional” commercial space activities, eliminating a policy barrier for proposed missions beyond Earth orbit. In a report submitted to Congress last month by the White House Office of Science and Technology Policy (OSTP), the administration said a “mission authorization” regime, with a minimal degree of government oversight, would ensure the U.S. upholds its obligations under the Outer Space Treaty of 1967. With the Arctic expected to be a major source of oil and natural gas, the development and testing of technologies to detect and clean-up Arctic oil spills will remain a critical area of focus. As part of this research, the Bureau of Safety and Environmental Enforcement’s (BSEE) Oil Spill Preparedness Division tested the capabilities of a geo-referencing identification satellite (GRIDSAT) technology during its inaugural participation earlier this year in Ice Exercise 2016 (ICEX). ICEX is an exercise designed to assess the operational readiness of the submarine force while also continuing to advance scientific research in the Arctic region. The U.S. Navy has been running ice exercises since at least the late 1950s. Last year, the Navy approached BSEE about participating in the event, Karen Stone, an oil spill response engineer with BSEE’s Oil Spill Preparedness Division, told Rigzone.